Do I Need to File a Nonresident State Tax Return? It's not as uncommon as you might think for an individual to live in one state but be employed in another, or otherwise do some work or earn money in a location where they don't reside. In fact, this happens quite often among taxpayers who live nearby to state lines. The situation can complicate things a bit at tax time, but not to a great extent if you understand the rules. Let’s go over the basics to help you decide if you must file a nonresident return and, if so, how it will affect you. Plain and simple, you must file a nonresident return if you worked or earned income in a state where you're not a resident. For example, Jane lives in New Jersey and commutes to work in New York. Jane would file a nonresident return in New York and a resident tax return in New Jersey. 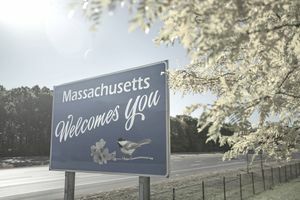 You must also file a nonresident return if your employer withheld state taxes for the wrong state and you want a refund from that state, or if you made any non-employment income in a state other than your home state. Certain states have agreements that allow residents of other states to work there without filing a nonresident return. This is common among neighboring states where crossing over the line to go to work is common. These agreements are known as reciprocal agreements. You probably won't have to file a return in the nonresident state if your resident state and the state you're working in have such an agreement in place. These agreements typically cover only earned income, or income which you collect from actual employment. And if you had taxes withheld in the nonresident state, you'll still have to file a return there to get that money refunded. Fifteen states have reciprocal agreements with one or more other nearby states as of 2019: Arizona, Illinois, Indiana, Iowa, Kentucky, Maryland, Michigan, Minnesota, Montana, North Dakota, Ohio, Pennsylvania, Virginia, West Virginia, and Wisconsin. The District of Columbia also has reciprocal agreements with the states of Maryland and Virginia. New Jersey had an agreement with Pennsylvania for nearly 40 years, but reciprocity ended on December 31, 2016. Of course, just like in New Jersey, this can change at any time, so check with the state tax authority in your nonresident state so you can be sure of your tax filing obligations. Your employer's human resources department should be able to tell you as well if it has one. You can also check with your own tax authority if you live in one of the above states to determine which other states have reciprocity with your home turf. Your income as a partner in an LLC, partnership, or S-corporation. Your share as a partner can be taxable in the state where the company is based. Note that this does not apply if you are simply an employee of the company. Income from services performed within the state. For example, an appliance repair person who travels across state lines to repair an oven in someone’s home there must file a non-resident return. Lottery or gambling winnings are taxable in the state where you won, so you'd have to file a return there. Income from the sale of property within a state requires a nonresident tax return, as does rental income. Carrying on a business, trade, profession, or occupation in a state. For example, if you worked as a consultant or contractor in another state, you'd have to file a non-resident return there. Fear not. The U.S. Supreme Court has your back. The Court ruled in May 2015 that two states cannot legally tax the same income. The decision didn't come lightly because it will cost some states a great deal of revenue. Justices debated and listened to oral arguments for over six months before they ultimately voted 5-4 that states must exempt from taxation earnings and other sources of income that were taxed elsewhere.